Joint ROK-U.S air combat exercise to go ahead, too, as DPRK condemns "war drills"
The Republic of Korea Air Force (ROKAF) on Monday kicked off independent air combat drills along with a small-scale ROK-U.S. combined exercise, drills intended to take the place of the now-suspended joint annual Vigilant Ace major exercise. 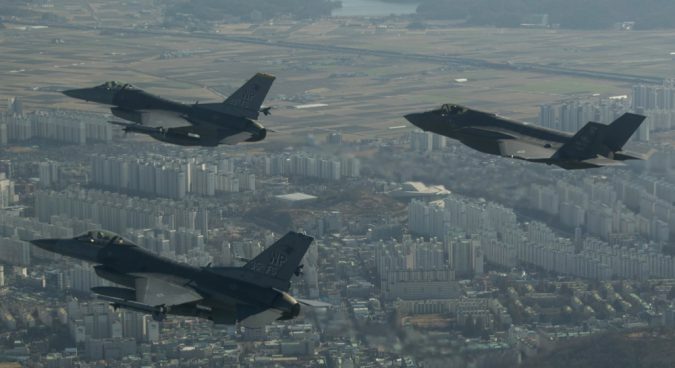 The ROKAF’s “consolidated training for combat readiness,” South Korea’s Joint Chiefs of Staff (JCS) announced, would be staged from Monday and Friday. ROK JCS spokesperson Army Col. Roh Jae-cheon told a news briefing that Seoul had scaled back the exercise, though did not provide further details on what precise elements of the drills had been reduced in scale. The exercise had previously been held in November and December on the Korean peninsula, with the stated aim of enhancing the interoperability of the U.S. and ROK allied forces. 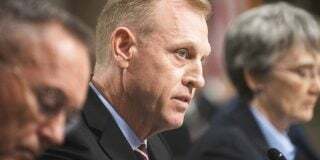 U.S Secretary of Defense James Mattis reiterated that “only part of the exercise has been suspended” at a news conference following the finaly decision to scale down the drill. The JCS on Monday said joint air drills between Seoul and Washington would be also staged alongside the ROKAF’s independent exercise. 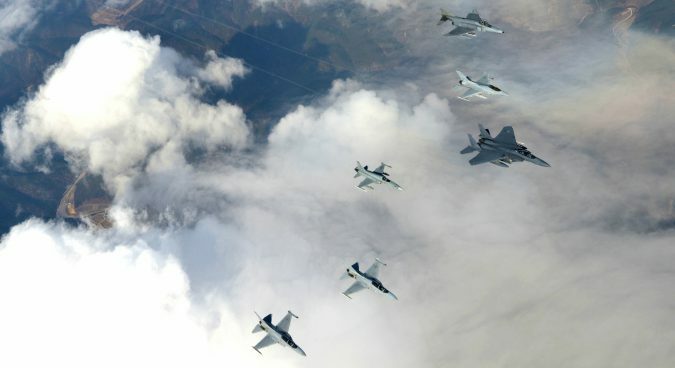 “Small-scale ROK-U.S air drills at the battalion-level and below will be staged to improve the competency of pilots of both the ROK and U.S. air forces,” it said in the statement. During a press briefing, Roh said the U.S. and South Korean air forces would use the drills to assess each others’ command and control (C2) capabilities. The South Korean military has since repeatedly stressed the need for the ROK and U.S. to ensure that the suspension of Vigilant Ace would not impact readiness. 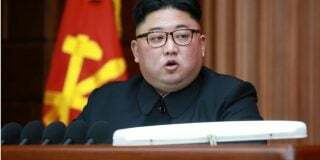 South Korean Minister of National Defense Jeong Kyeong-doo in October reportedly proposed to Mattis that the two conduct the joint military drills through a so-called “data link system,” allowing for a simulated exercise that would not require U.S. fighter jets to be deployed on the peninsula. 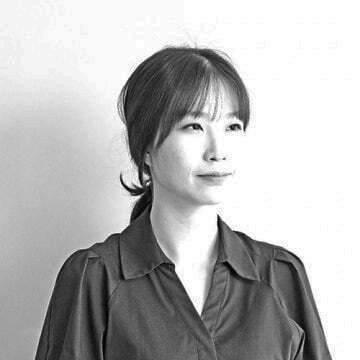 When asked on Monday if the U.S. and ROK forces would use this system in this week’s drills, Roh declined to answer, while insisting the five-day air drills would be sufficient to make up for the suspension of Vigilant Ace. Last December saw Washington and Seoul mobilize 230 aircraft, including six F-22 Raptor stealth fighters and Six F-35A Lightning II stealth fighter jets, for the exercise. B-1B Lancer strategic bombers were deployed on the Korean peninsula for the two consecutive days during the drills. North Korean media at the time warned of “terrible retaliation” in response to the drills last year. 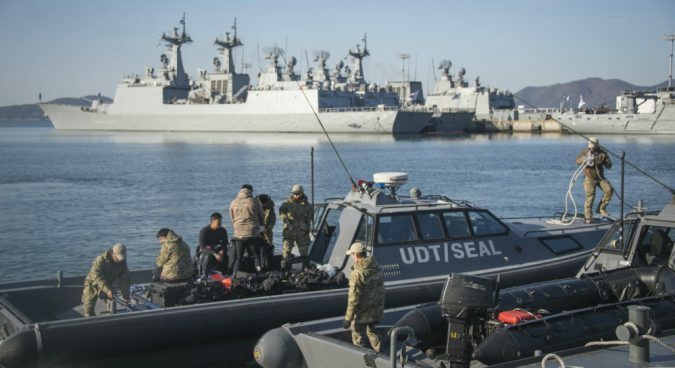 The U.S. and South Korea earlier in the year suspended the Ulchi Freedom Guardian (UFG) and two ROK-U.S. Korean Marine Exchange Program (KMEP) military drills, originally planned to take place in July and September. 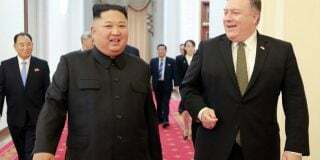 Seoul has since then conducted several independent or joint military drills with the U.S., despite North Korea’s insistence that a September military agreement between the two Koreas prohibits such exercises. Seoul and Washington in November kicked off the KMEP exercises, following a Republic of Korea Marine Corps (ROKMC) announcement that the drills would be conducted 24 times in 2019. October saw the ROK military begin two annual independent military exercises, the Taeguk Command Post Exercise (CPX) and Hoguk Field Training Exercise (FTX), stressing the “defensive nature” of the drills. 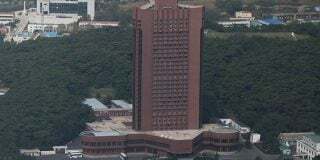 North Korea’s state-run media has raised opposition to both the KMEP, and the Taeguk and Hoguk exercises. October’s SCM also saw South Korean defense minister Jeong say the U.S. and the ROK would seek to plan a way to conduct combined military drills in December following a working-level consultation by November 15. Mattis in November also said the scale of next year’s Foal Eagle (FE) drills would be reduced. The FE, a field training exercise (FTX), and Key Resolve (KR), a computer-simulated command post exercise (CPX), typically take place in March and April. North Korean online media Arirang-Meari on Sunday urged the Moon administration to put a stop to all ROK-U.S. joint military drills. “The consistent assessment from the inside and outside is that any kind of combined military exercises … should never be allowed and completely stopped regardless of its scale,” it said. Subscribe to read the remaining 918 words of this article.